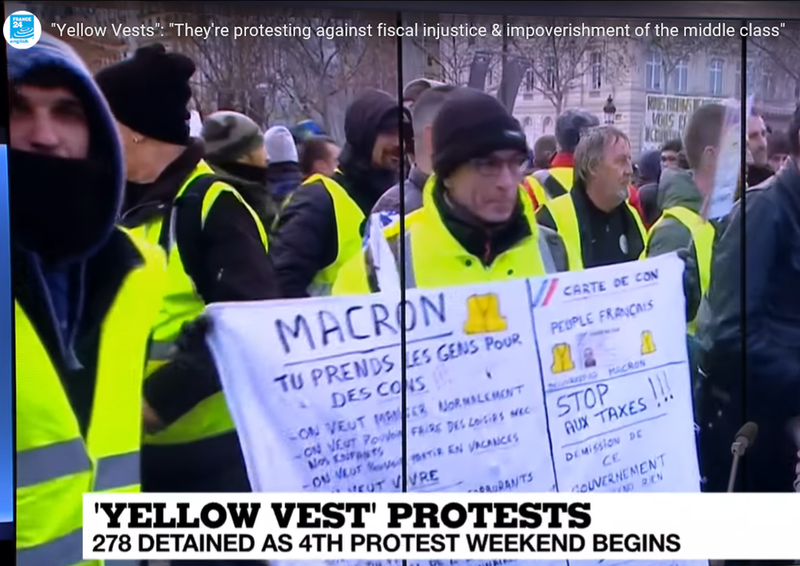 “Resisters” now think that it’s not fair to resist … say, what? For a couple of years, it’s been in fashion among the established, the elite and the folks on the left to use any method to stymy the Trump agenda. After all, the end justifies the means, right? Well now, from Madison,Wisconsin to Paris, France … left-leaning elected officials are being thwarted. And, many who were touting the graces of the Resist Movement just a couple of weeks ago are squealing like pigs. … if your parents were Democrats. And, I bet if your parents were Republicans, then you’re a Republican. More specifically, researchers say that they can predict who’s right and who’s left of center politically with 82.9 % accuracy. This is from the HomaFiles archives – one of my favs. The original WSJ article was inspired by Clinton’s win over elder Bush (the Perot factor), younger Bush’s win over Gore (the Nader factor), and Jesse Ventura’s gov win in Minnesota. The analysis has relevancy these days, given the way that the not-Trump vote is being carved thin among the array of GOP presidential contenders. The analysis has relevancy these days, given the way that the not-Trump vote is being carved thin among many GOP presidential contenders. The original article was inspired by Clinton’s win over elder Bush (the Perot factor), younger Bush’s win over Gore (the Nader factor), and Jesse Ventura’s gov win in Minnesota. Those odd ducks who scrutinize returns, calculate how each additional candidate affects the others’ chances and analyze strategic voting are hard at work. I refer, of course, to mathematicians. Yes, there is a mathematics of elections. Research has identified various voting systems world-wide in which, paradoxically, becoming more popular can make a candidate lose, abstaining gives your preferred candidate a better chance, and picking a winner means accepting someone a majority of voters don’t want. This last paradox characterizes the U.S. system of plurality voting (vote for one; the top vote-getter wins). It works fine when there are two candidates, but with three or more, plurality voting can come up short. For a democracy, the mathematicians’ most robust result is chilling. “It’s surprisingly difficult to identify a voting system that accurately captures the will of the people”. So as not to inflame passions with current political examples I’ll illustrate his point with food. 5 people prefer chicken to steak to tofu. 2 people prefer chicken to tofu to steak. 4 people prefer steak to tofu to chicken. 4 people prefer tofu to steak to chicken. 2 people prefer tofu to chicken to steak. One organizer tallies the ballots by the plurality method, counting only first-place votes. Chicken wins (7 votes), while steak is last (4 votes). A second organizer uses “approval voting,” in which voters mark all acceptable choices (everyone’s top two choices are acceptable). Now steak wins with 13, tofu gets 12 and chicken is last with 9. The third organizer uses a point system that gives their first choices 2 points, second choices 1 and last picks 0. Now tofu wins with 18, steak gets 17, chicken 16. The ‘winner’ changes with the choice of election procedure … An ‘election winner’ could reflect the choice of an election procedure” rather than the will of the people. It gets better. Thanks to a mathematical property called non-monotonicity, in some voting systems, ranking a choice higher can defeat it. In a plurality-with-runoff system, the two candidates with the most first-place votes face one another in round two. 27 prefer chicken to steak to tofu. 42 prefer tofu to chicken to steak. 24 prefer steak to tofu to chicken. Chicken (27 votes) and tofu (42) reach the runoff. Assuming steak fans maintain their preference and give their second-round votes to tofu, tofu wins the runoff. But what if four people in the group of 27 chicken lovers are last-minute converts to vegetarianism and, in round one, prefer tofu to chicken to steak, like the group of 42? Now steak (24 first-place votes) and tofu (46) make the runoff, in which steak beats tofu 47 to 46. Tofu’s late surge turned its win into a loss. Such paradoxes tend to occur under specific but far from unusual circumstances. 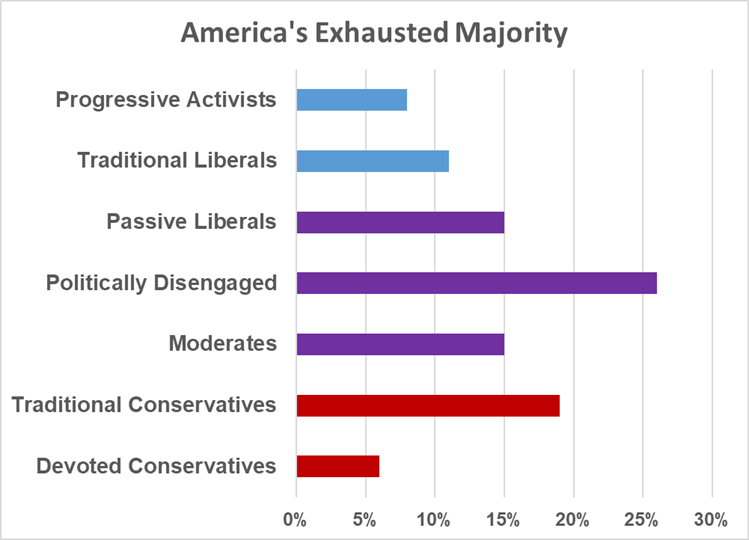 With plurality voting, the most common is when two centrists face an extremist. The majority splits its vote between the centrists, allowing the fringe candidate to squeak in. In Minnesota’s 1998 governor’s race, Hubert Humphrey got 28% of the vote, Norm Coleman 34% and Jesse Ventura won with 37%, even though most voters ranked him last. Thanks to such outcomes, scientists say what’s most needed is “a way for voters to register their second and third choices … especially in primaries, where there tends to be a large field.” Both a ranking system (give candidates 4, 3, 2 or 1 point) and approval voting accomplish that. The U.N. chooses a secretary-general by approval voting. “It is particularly appealing in elections with many candidates … If your favorite candidate is a long shot, you can vote for both him and a candidate with a better chance without wasting your vote on the long shot. Approval voting would do a lot to address the problem of presidential-primary victors not being the choice of most voters.” Approval voting could well make more people (especially supporters of long shots) feel their ballot matters. Still, no system is perfect. As Nobel-winning economist Kenneth Arrow proved mathematically in 1951, no voting system is guaranteed to be free of paradoxes in a race with three or more candidates, except one — a dictatorship. Try this: ask folks to explain the difference between the Federal deficit and the Federal debt … ask them where the money money that funds, say unemployment benefits, comes from. 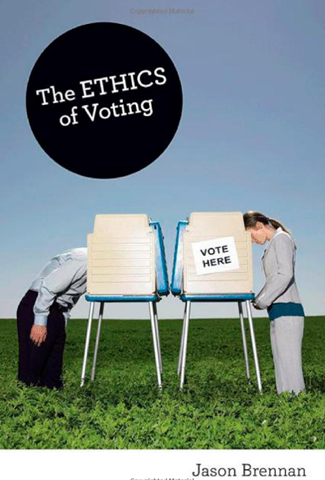 Jason Brennan is a young prof at MSB … his research is at the nexus of ethics and politics. Politics: Red, blue or green (as in money)? When Obama was elected in November 2008, GE CEO Jeff Imment told his troops: “We’re all Democrats now”. It wasn’t a political statement as much as a practical business reality. Welcome, in short, to a new, neutral … U.S. corporate environment — thanks in no small part to the increasingly polarized politics of this country. Companies might lean Red or Blue in politics but in the end the only color that really counts is green. [Some citizens] are politically engaged, but they are nonetheless often ignorant of or misinformed about the relevant facts or, worse, are simply irrational. At least read the sample chapter … book is available in paperback at Amazon. While Dems sip Starbuck’s latte, Republicans run on Dunkin’ … go figure. Punch line: Democrats and Republicans have wildly different taste when it comes to certain brands. Politicians are starting to see the value in understanding these differences, and the link to voters’ decision making process. America is settling in for a long summer of campaigning between the Democratic candidate President Obama and the Grand Old Party’s Mitt Romney. News of minor flubs by candidates and those who work for them will come up at bars, barbecues, and ice-cream joints across the land (or be completely avoided, for everyone’s safety). 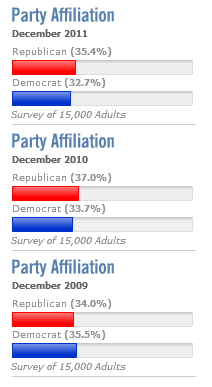 … Members of the two political parties don’t just disagree on their candidates. They also mostly disagree on the brands they love, though there are three that help bring them together. Next time a president wants to have a bipartisan summit of some sort, he or she might want to involve Coke, Apple, and Visa. Both candidates and brands have never fought harder for our affection and our votes, … It’s never been more important to understand why people make the choices that they do. Brands can learn a lot by having a deeper understanding of the deep-seated connections that drive our decision-making. Myth #1. Conservatives care most about the size of government. conservatives don’t want a reduced government so much as one that works better and wastes less. In a poll we completed among self-identified conservatives just before the 2010 elections,“efficient” and “effective” government clearly beat “less” and “smaller” government. For conservatives, this debate is less about size than about results, along with a demand that elected officials demonstrate accountability and respect for the taxpayer, regardless of whether they’re spending $1 million or $1 trillion. Myth #2. Conservatives want to deport all illegal immigrants. Yes, conservatives want effective border control right away. And more than 80 percent are dissatisfied with America’s immigration system. Conservatives don’t want to round up all the illegal immigrants and deport them. But, conservatives embrace legal immigration. A solid majority believe that there should be an eventual path to earned legal status. Myth #3. They worship Wall Street. Conservatives are highly critical of Wall Street and wholeheartedly celebrate Main Street. The business leaders that conservatives respect most are entrepreneurs, not chief executives; conservatives value small-business owners above big bankers. In a poll conducted early this year, I asked conservatives whom they most trusted to get our country on the right economic track. By nearly two to one, they chose small-business owners over corporate America (only “political leaders” did worse). Most agree with moderates and liberals that things on Wall Street have gotten out of hand. They believe that those who abuse the system should be held accountable and that those who work hard and play by the rules should be free to advance. Myth #4. Conservatives want to slash Social Security and Medicare. Conservatives want the programs strengthened, not dismantled. They know Social Security & Medicare need reform, but they want changes to be effective and reasonable. Conservatives believe in such simple principles as personal choice and greater competition, and they are more confident than liberals in people’s ability to make the right decisions. Myth #5. Conservatives don’t care about inequality. The big difference between left and right is the difference between opportunity and outcome. Conservatives want to increase opportunity, giving everyone the freedom and tools to prosper, so that the poor may someday become rich. Liberals want to redistribute income, making the rich — quite simply — less rich. Bonus Myth. Conservatives don’t want regulations enforced. Conservatives also believe that we need better enforcement of the regulations we already have, not more rules. Like all Americans, they are outraged that there hasn’t been a single prosecution by the Obama administration for the corporate abuses that led to the economic meltdown. The article’s punch line: Job creation and destruction are both relentless. The small difference between the two is what we call prosperity. Painstaking research by economists Steven J. Davis and John Haltiwanger revealed a side of America’s dynamism that isn’t always pretty. Between 1977 and 2005, years roughly overlapping Mr. Romney’s business career, some 15% of all jobs were destroyed every year, even as total jobs grew by an average of 2% a year. Job creation and destruction are both relentless, the authors showed in paper after paper. The small difference between the two is what we call prosperity. Nobody—not even those whose billions were earned in private equity —envisioned the astounding rise in business values in the gilded ’80s and ’90s. 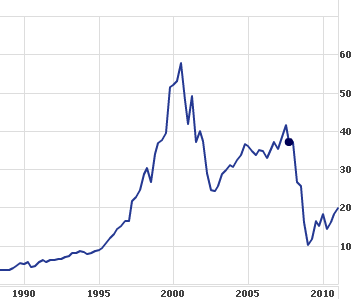 When Mr. Romney was asked by his boss to start Bain Capital in 1983, the Dow was at 1086.50. When he left on Feb. 11, 1999 to run the Olympics, it was 9363.46. His is not the only recent fortune owed partly to this accident of timing (Warren Buffett’s and many others come to mind). Indeed, if we’re being honest, Mitt here is representative of a generation of professionals whose serendipity it was to have spent the 1970s on our education and then to be spit into the job market just as one of history’s great economic liftoffs was taking place. But, when private-equity investors sniff a profit opportunity, they are probabusually one step ahead of everybody else. Of course, I like the swipe at Warren Buffett who, in my opinion, is way over-rated. But, the author reminds me that I owe a lot to timing, too. What if PEs stop trying to turnaround failing companies? The fanned hysteria against private equity firms is ripe with hypocrisy and unintended consequences. The hypocrisy is almost comedic. Gingrich was on the board of Forstman-Little. Obama just promoted Jack Lew – formerly head of Citi’s PE group – to be his chief of staff. And, don’t forget that Team Obama picked Dan Akerson to run Government Motors. What’s his background? Prior to joining GM, Akerson was a managing director and head of global buyout for The Carlyle Group in Washington, D.C. In this position, Akerson managed more than $50 billion in assets and more than 200 portfolio companies with several hundred thousand employees around the world. He was instrumental in helping Carlyle achieve 30 percent gross internal rates of returns in the firm’s corporate private equity business. Gee, sounds a bit like Romney doesn’t it? I’d even be willing to bet that Akerson closed a few plants and laid off a few people in his time. That’s not bad. That’s how failing businesses are turned around. Which leads me to my bigger point. Connecting some dots, I see a disturbing trend. Similar story with a dedicated teacher friend … asked about pay based on students success (e.g. test score improvement) … he parried: fine, then who’s going to teach the mainstreamed special needs students … or the incorrigible discipline students … not the teachers striving for high success rates. And, they know that – despite their best efforts – some turnarounds will fail. That’s part of the game. If the world lasers in on the unsuccessful attempts, who is going to step-in and start taking on the toughest turnarounds? If the answer is nobody – or worse yet, the Feds – then those failing companies are certain for demise. Is that what Gingrich and Obama want? But people still like him … oh, really? A CNN poll released Friday found that 49 percent of Americans have a favorable view of President Obama and 49 percent an unfavorable view. For comparison, 43 percent of Americans have a favorable view of Mitt Romney and 42 percent an unfavorable view. Ken’s Take: This is from the HomaFiles archives – one of my favs. The analysis has relevancy these days, given the way that the not-Romney vote is being carved thin among many conservative GOP presidential contenders. All of which squares with my observation that I haven’t run into a single McCain voter who says they’ll vote for Obama in 2012 … but, I’ve run into many Obama ‘08 voters who say they won’t vote for him again. I’ve said before: I have run into folks who voted for Obama in 2008 who say they won’t vote for him in 2012, but haven’t run into anybody who didn’t vote for him in 2008 who say they will in 2012. Not only is Pres. 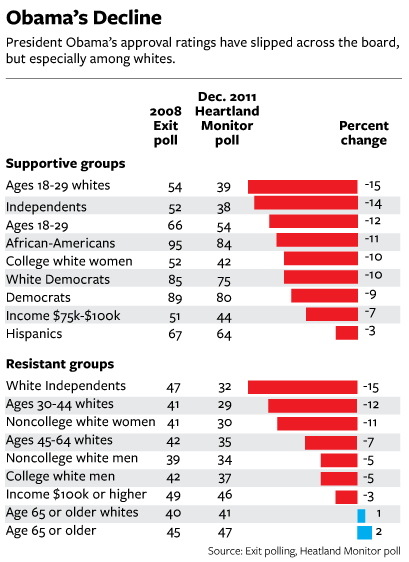 Obama’s overall approval rating lagging, but he’s lost as much (or even more) ground among groups that favored him in 2008 as among those who resisted him last time. Overall, Obama has slipped from 52.8 percent of the vote in 2008 to 44 percent approval in the new survey with 49 percent disapproving. As the chart below shows, Obama has declined not only in the groups that were always dubious of him, but also with several that enthusiastically joined his winning 2008 majority. Apparently the “thrill up the leg” is gone … too bad. During the 2008 presidential campaign, MSNBC’s Chris Matthews made headlines with his creepy comment “Obama sends a thrill up my leg”. I have to tell you, you know, it’s part of reporting this case, this election, the feeling most people get when they hear Barack Obama’s speech. My, I felt this thrill going up my leg. I mean, I don’t have that too often. Well, it seems that the thrill is gone from Matthews leg. Now, he’s criticizing Obama for being out-of-touch, ineffective, and shirking leadership. Oh my. How things have changed in 3 years. I’ve talked to plenty of people who voted for Obama in 2008 who say they will not vote for him again. Some political commentary from Obama-supporter Chris Rock. Chris Rock — comedian and actor – says that he’s “fine with the president,” because he understands that the president has to keep his most aggressive policies on the back burner until he earns a second term. “There’s a f——— art to the first term because you’re always running for a second term the whole time. You can’t really do your gangsta sh— until your second term.”. Can’t you just imagine the bumper sticker? Occupy Wall Street … by the numbers. Research shows clearly that the movement doesn’t represent unemployed America and is not ideologically diverse. Rather, it comprises an unrepresentative segment of the electorate that believes in radical redistribution of wealth, civil disobedience and, in some instances, violence. Nearly one-third (31%) would support violence to advance their agenda. An overwhelming majority of demonstrators supported Barack Obama in 2008. Now 48% say they will vote to re-elect him in 2012, while at least a quarter won’t vote. 65% say that government has a moral responsibility to guarantee all citizens access to affordable health care, a college education, and a secure retirement—no matter the cost. Schoen’s bottom line: Occupy Wall Street is a group of engaged progressives who are disillusioned with the capitalist system and have a distinct activist orientation. According to Match.com insiders …. … conservatives are more open-minded to dating someone outside their political circle than liberals. This insight comes from an engineer at Match who works on their algorithm. As a result, Match began “weighting” variables differently, according to how users behaved. For example, if conservative users were actually looking at profiles of liberals, the algorithm would learn from that and recommend more liberal users to them. That is, when it comes to looking for love, conservatives are more open-minded than liberals. Ken’s Take: Conservatives like to debate the issues … liberals are on the prowl for reinforcement of their established views. Answer: $514,327,670 … What’s the question? 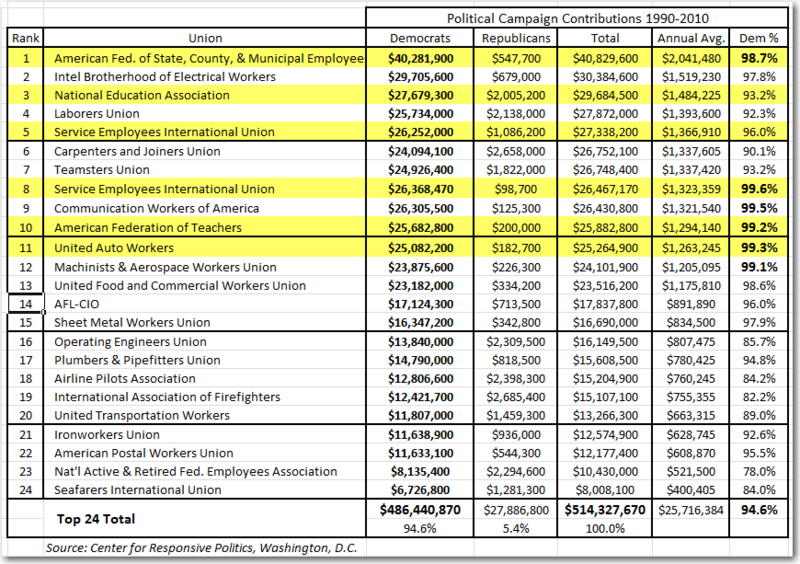 The amount of money that 24 Unions donated to Dem political campaigns over the past 20 years. Yep – over half-a-BILLION dollars. That’s why Dems think that automatic payroll deductions for dues is so important. Maybe if it’s not automatic, then some folks might decide that the union is serving them well .. especially when they simply serve as a financial conduit to Dem politicos. Note on the list the prominent position of gov’t employee unions … and quasi gov’t unions like the UAW and the SEIU. Overall, big banks, securities firms and other financial-services companies gave 55% of $18.5 million in campaign donations to Republicans in the January-through-July period. That’s a reversal from the same period last year, when they gave 65% of PAC donations to Democrats. PACs that are run by labor unions give an overwhelming share of their donations to Democrats. Sixteen of the top 20 PAC donors to Democrats so far this election are operated by labor unions. None of the top 20 PAC donors to Republicans have been labor unions in the current election cycle. Thanks to JC for feeding the lead. My GE roller-coaster … the Immelt appointment. OK, the stock got a bump on Friday thanks to a sweet earnings report … and, perhaps, thanks to Obama naming CEO Immelt to head up his recovery board of advisers. I’m conflicted, for a couple of reasons. First, GE stock has steadily lost value during Immelt’s tenure … which started in 2001. Yeah, there was 9/11 and the financial crisis, but the rest of the world – measured by the S&P 500 has pretty much gotten back its losses. GE is still down 50% from when Immelt took over. But, it makes you wonder: why didn’t Obama pick a CEO with a record of success? Say, like Immelt’s predecessor –- Jack Welch – who knows how to cut costs and drive innovation. I guess Obama wanted somebody he could count on to support his healthcare and cap & trade initiatives. FoxNews has taken to calling GE “Government Electric” because it yapped the TARP program, it takes a heavy dose of government contracts, and its media outlets (NBC and MSNBC) cheerlead for Obama.. While most corporate leaders have taken a wait and see approach to Obama’s occasional overtures to the private sector, G.E., along with Google, Goldman and few others, have backed him to the hilt. Whether it is pushing the president’s plan for global warming fees in order to create demand for his “Ecomagination” line of windmills, solar panels, etc., boosting the president’s national health-care law as part of an effort to sell more medical equipment, or enthusing over the Obama strategy of making loans available for industrial exporters, Immelt has been an Obama stalwart all along. Immelt has also consistently argued to shareholders that there is big money to be made in advancing the Democratic agenda, in huge government contracts, subsidies and incentives. That raises some major angst for me – my political philosophy is on one side, and my wallet is on the other. 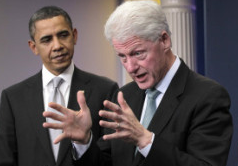 Bill Clinton’s press conference on Friday was amazing in several respects. Though the guy is a convicted liar, he is so engaging as a speaker that it’s hard not to get sucked it by him. My head was nodding yes to tax credits for windmills. Yipes. No notes, no teleprompter, no ums & ahs, no name calling, no whining … he acted kinda like a President. In control … wouldn’t let Barry take back the podium … Obama had to lean across him to speak into the mic … talk about symbolism. Most amazing was Obama’s clutzy exit. Unfazed by the fact that this is the most important domestic economic issue of the moment … gotta run. Not to call Putin or Petraeus … to meet up with Michelle for Friday date nite … “We’ve got 2 holiday parties to attend” … are you kidding me? Left Clinton in charge … of the press conference … and symbolically, of the economy. The Clinton gambit may get Dems votes for the tax plan, but it has its downside. It highlighted just how unprepared and ineffective Obama is, and even made folks like me yearn for Clinton again. Obama’s lucky Clinton can’t run again. But wait, there’s another Clinton in the wings. One of my wife’s hot button the past couple of years has been Speaker Pelosi’s use of a large military passenger jet to cart her and her posse back & forth between DC and San Francisco. Ms. Pelosi said she took the military flights on the advice of the House Sergeant-at-Arms office. Well, score one for GOP frugality. Rep. John Boehner, the House speaker-to-be, said he plans to continue commuting on commercial flights from his district in Ohio to Washington, D.C. Guess the House Sergeant-at-Arms changed his mind about security for the person who’s third-in-line for the Presidency. Voters certainly weren’t surprised by the outcome in the House on Election Day. 78% said it was at least somewhat likely that the GOP would win control of the House in the survey taken Monday and Tuesday night. 59% of Likely U.S. Voters think it is at least somewhat likely that most voters will be disappointed with Republicans in Congress before the next national elections. Voters overwhelmingly believe the new Republican-controlled House is likely to vote to repeal the unpopular national health care law. They’re less confident that taxes and government spending will go down with the GOP in charge of the House. 50% view the Pledge as a campaign gimmick rather than a serious policy document. For most voters, however, the election was a referendum on President Obama’s agenda, and they think he should change course with Republicans now in control of the House. But most don’t expect him to make that change. Both CA and NY stayed comfortably in the hands of spend and tax Dems. Both states are rapidly approaching bankruptcy … largely due to the gov’t payrolls — bloated with public union employees … and subject to inefficient work rules, high pay, life-time job security and ridiculous pensions. None of the elected Dems will pull a Chris Christie and go after the public employee unions — in part because the don’t want to, and part because the they can’t — the unions carried them to victory. These states were bailed out by Obama’s save-the-states stimulus program. Now, what are the chances that a GOP House will pass bills to bail out CA & NY ? I think the chances range from slim to none. So, Brown and Cuomo will be stuck facing up to their state’s problems. First, it’s a given that the GOP will retake the House. In other words, I think a GOP sweep would help Obama’s 2012 re-election run. He runs against demons, and he’ll have some. Winning just the House takes some of the wind out of that sail, and lays the groundwork for the GOP in 2012. I had dinner recently with a liberal friend. When the conversation turned to politics (sorry, my fault) he blasted Fox News and the Tea Party. Nothing specific, just the general sort of “dumb devils” stuff. Always makes me wonder how some smart folks can get so passionate without diving deeper than the sound bites. I don’t question their sincerity, but do question their rigor. As I’m thinking about this stuff, this op-ed popped up about why well educated libs think the way they do. Bottom line: that’s what they were taught college, and all of the headlines re: Fox and Tea fit their learned model, so there’s no need to research any deeper. The tea party movement’s focus on keeping government within bounds and answerable to the people reflects the devotion to limited government embodied in the Constitution. One reason this is poorly understood among our best educated citizens is that American politics is poorly taught at the universities that credentialed them. For the better part of two generations, the best political science departments have concentrated on equipping students with skills for performing empirical research. Neither professors of political science nor of history have made a priority of instructing students in the founding principles of American constitutional government. Then there are the proliferating classes in practical ethics and moral reasoning. These expose students to hypothetical conundrums involving individuals in surreal circumstances suddenly facing life and death decisions, or present contentious public policy questions and explore the range of respectable progressive opinions for resolving them. Such exercises may sharpen students’ ability to argue, but hey do little to teach about self-government. She’s not qualified to be Senator … so what? Christine O’Donnell is taking a lot of flack for not being qualified to be a US Senator. What qualifies somebody to be a Senator? Does an Ivy League law degree do it? Or, experience running a company? How about a couple of decades of sleazy backroom dealing? More directly, what difference does it make if Senators simply vote like lemmings along party lines? Doesn’t seem like experience matters one bit. An example: Mark Warner of VA touted his business credentials when he campaigned for the Senate. Since he’s gotten there, he’s voted straight Dem on all significant issues. As a former entrepreneur, he sees no risk in raising taxes during a recession. Really? When he was a CEO, did he make business decisions based on numbers as flakey as the CBO’s? I doubt it. I’m not looking for qualifications any more. I just want somebody who will vote the will of the people instead of the will of their party. P.S. How come these people weren’t so concerned about qualifications in 2008 ? Why are only 2 of these counter-factuals considered far fetched by the media? John who? … Somebody explain this to me, please. Yesterday in Cleveland –– actually, Parma – a suburb that Clevelanders have made fun of for decades, since the days of Ernie “Ghoulardi” Anderson and Tim Conway –- a feisty President Obama turned attack dog and called out House Minority Leader John Boehner nine times. Forget that it was unseemly for the President to do it. A CNN poll released the day of Obama’s speech slots Boehner between Biden and Roberts — 55% either have never heard of Boehner or have no opinion about him. So why would Obama elevate and attack somebody who is unknown to the majority of Americans? 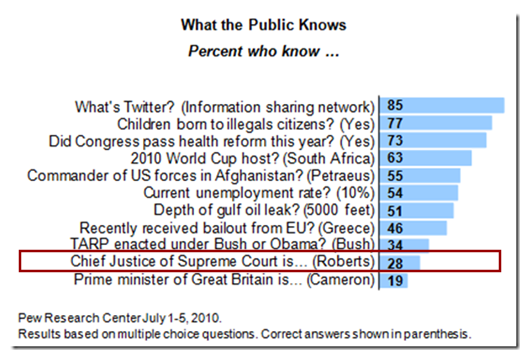 Note: Accoding to Pew, more than 1 in 4 Americans don’t know that ObamaCare was passed … and they get to vote … that’s scary ! 36 percent thought that the Democratic Party was more liberal. 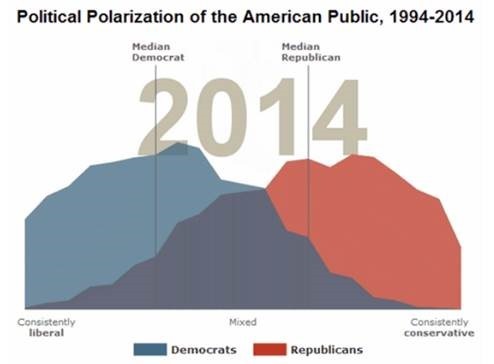 Independents considered the Republican Party to be twice as distant from them ideologically as the Democratic Party. 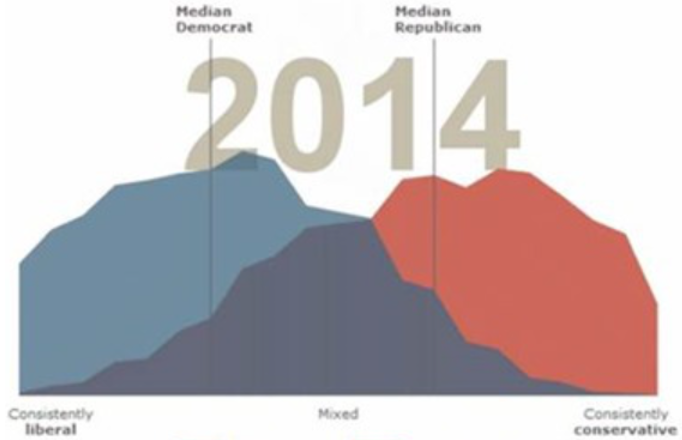 39 percent see the Republican Party as more conservative. 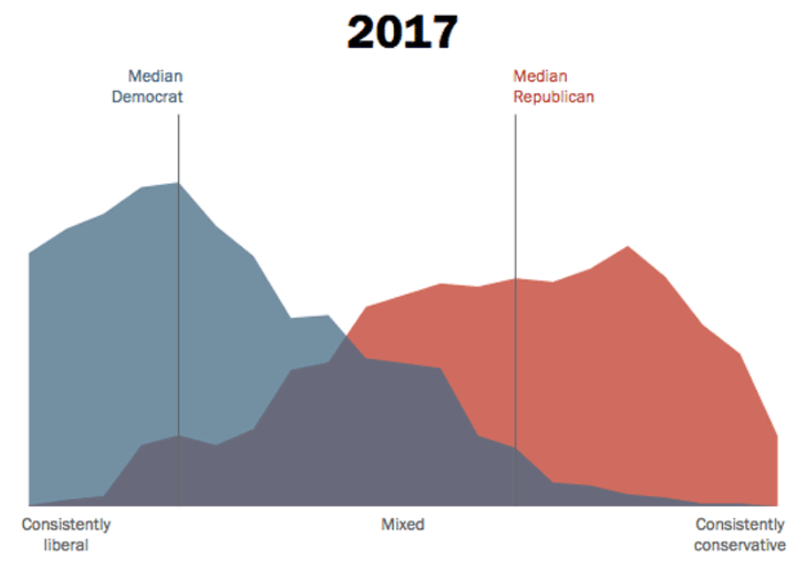 Independents see the Democratic Party as three times farther away from them ideologically as the Republican Party. And, when asked: If the 2012 election for President were being held today, do you think you would vote for Barack Obama the Democratic candidate, or the Republican candidate? 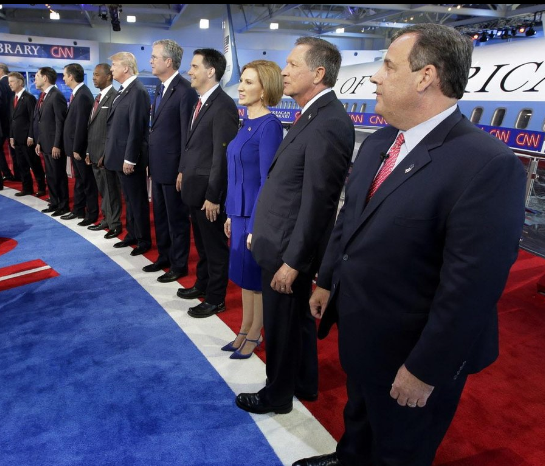 The unnamed ‘any’ GOP candidate beat Obama 39% to 36%. That can’t be good for the President. … a 54 point difference — that’s big. Takeaway: Many folks make fun of her, but does Sarah Palin know more about brand building than we MBAs do? In a matter of months, and against all odds, Palin built herself into a multi-million dollar national brand with droves of loyal followers. How many classically-trained marketing whizzes can boast the same? Palin may not be able to see Russia from her house, but marketers take note, she is likely to understand many Americans better than we do. This begs the question: What can we learn from Palin? Excerpt from New York Times, “How Sarah Palin Became a Brand” by David Carr, April 4, 2010. When Sarah Palin made her debut as the host of “Real American Stories” on Fox News, she described several triumphs of regular people over insurmountable odds, but she missed an obvious one: her own. After her failed bid for the vice presidency, she was more or less told to head back to Alaska to serve out her term as governor. Instead, she quit her day job and proceeded to become a one-woman national media empire, with the ratings and lucre to show for it. “It’s not the kind of thing that’s going to excite you guys on the East Coast, but everyone else is dying to hear stories like these,” said one of her representatives. Beyond her Tea Party theatrics, Palin has tunneled her own route into the public consciousness and gone into the Sarah Palin Across America business. And what a business it is. She now has an actual television career, including appearances as a pundit on Fox News, her gig as the host of “Real American Stories” four times a year, and a coming eight-part series on TLC called “Sarah Palin’s Alaska,” which will cost, according to some media reports, $1 million an episode. Ms. Palin didn’t go on the show to run for president as much as to become the next Oprah. And it seems to be working. So what are the rest of us missing? In Ms. Palin’s America, everyone’s got bootstraps; they just need to have the gumption to find them. And her version is full of plain old folks spending a lot of time overcoming a great deal, including a government that she posits usually intends to do them harm. She’s also imported the political trick of coming from the outside and ruling from the center. When she sets down the ear piece and leaves the studio lights, even the way she says the word “media” in her speeches — “MEE-dee-uh” — makes it sound like something yucky and foul, a swamp to be avoided at all costs. Unless, of course, you are promoting a show, a book or a cause. Many observers thought her unwillingness to serve out her term would be fatal to her ambitions, but the fact that governance did not suit her — she resigned as governor back in July — has become a kind of credential. The GOP strategy: revenge of the nerds ? Increasingly, nerds appear to be the life of the party. The GOP party, that is. Paul Ryan, the top Republican on the Budget Committee, used his nerd skills last week to “unpack” the Senate health care bill numbers. Some imagined Ryan as a future vice president. Indiana Governor Mitch Daniels, a potential presidential candidate, previously served as the director of the Office of Management and Budget. It’s a job only a nerd could love. Perhaps in this era of the professorial president, Republicans decided to put forward their wonkish rock stars. It helps to have number crunchers on the main stage when it’s all about the economy. Is Congress dysfunctional … or working the way it’s supposed to? Washington seems incapable of fixing America’s deeper problems. Certainly the system looks dysfunctional. A mere 41 senators (in a 100-strong chamber) can filibuster a bill to death; when states like Wyoming (population: 500,000) have the same clout in the Senate as California (37m), so that senators representing less than 11% of the population can block bills. Thanks to gerrymandering, many congressional seats are immune from competitive elections. A tide of lobbying cash corrupts everything. A criticism with more weight is that American government is good at solving acute problems (like averting a Depression) but less good at confronting chronic ones (like the burden of entitlements). America’s political structure was designed to make legislation at the federal level difficult, not easy. The founders believed that a country the size of America is best governed locally, not nationally. The basic system works; but that is no excuse for ignoring areas where it could be reformed. In the House the main outrage is gerrymandering. Tortuously shaped “safe” Republican and Democratic seats mean that the real battles are fought among party activists for their party’s nomination. This leads candidates to pander to extremes, and lessens the chances of bipartisan co-operation. In the Senate the filibuster is used too often, in part because it is too easy. Senators who want to talk out a bill ought to be obliged to do just that, not rely on a simple procedural vote: voters could then see exactly who was obstructing what. These defects and others should be corrected. But even if they are not, they do not add up to a system that is as broken as people now claim. Pundits have been so riveted on the impact Scott Brown’s election is having on ObamaCare that they are overlooking a bigger deal: Supreme Court appointments … likely to be a relatively frequent happening since the average age of Supreme Court justices is about 90 years old. Pre-Brown, Pres Obama could name practically any wingnut he wanted when a Supreme Court vacancy occurred … tilting the Court further left. Now, #41 can join his GOP colleagues to block anybody designee who leans too far out of the mainstream. This could come back to haunt Pres Obama since he voted against Alito, saying that he was “qualified but too conservative”. Those words will come back to haunt the President. Punch line: tax payers are no longer going to tolerate lying, cheating, secret-dealing, ineffective government operatives. Nelson’s Cornhusker Kickback was a defining moment — even the people of Nebraska — the beneficiaries of the special deal — rejected it as just plain wrong. Imagine … a constituency that can’t be bought off. In the 2006 and 2008 elections, and at some point during the past decade, the ancestral war between Democrats and the Republicans began to take on a new look. If you were a normal human sitting at home … chances are pretty good you came to see the two major parties not as the Dems versus the Reps, or the blue versus the bed, but as the Nuts versus the Creeps. The Nuts were for high spending and taxing and the expansion of government no matter what. The Creeps were hypocrites who talked one thing and did another, who went along on the spending spree while lecturing on fiscal solvency. In 2008, the voters went for Mr. Obama thinking he was not a Nut but a cool and sober moderate of the center-left sort. The contest between the Nuts and the Creeps may be ending. The Nuts just got handed three big losses, and will have to have a meeting in Washington to discuss whether they’ve gotten too nutty. But the Creeps have kind of had their meetings — in Virginia, New Jersey and Massachusetts. And what seems to be emerging from that is a new and nonsnarling Republicanism.